We sent you Email verification Key for Password Recovery. Please Copy to here from Your email Inbox. Safety First driving school has been in business for over 25 years serving the Ventura county community for over 25 years. Many of our instructors have been with us for years. We have several instructors that have been with use for 10+ years. All our instructors are required to do training, physical exam, testing through the DMV and a background check. We have both and male and female instructors available. We also customize the lessons to suit the client we are serving. This includes teens/adults with disabilities. 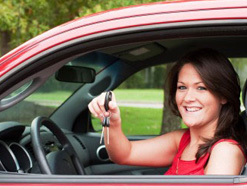 We offer online driver’s education, behind the wheel lessons and traffic school. Along with a staff that will go above and beyond to help you. We are here to help those in the Ventura and Los Angeles county to get a driver’s license or those that have gotten a ticket and need that point off their record. We service the areas of Malibu (extra fee involved) Calabasas, Agoura Hills, Oak Park, West Lake Village, Thousand Oaks, Moorpark, Newbury Park and Camarillo. Even for those outside of our area we try to make accommodations to fit those students. Safety First offers Driver’s Education course to students of all ages. If you have a child that is 15 ½ they must complete Driver’s Education before they take the permit test at the DMV. For those that are 17 ½ and older this program can help you to pass the test even though it is not required. We have been teaching students of all ages for over 25+ years with a passing rate well above 99%. For those having difficulty passing the permit test we go above and beyond to help. We offer a Behind the Wheel Driving course for teens, adults and seniors. Package information can be found below. The 6-hour package is basic surface streets and general knowledge of Vehicle. We believe this is the most important package due to the fact we live in Ca and everyone needs to learn how to navigate Freeways in the state of CA. For Seniors we offer a 1 hour course or a package of 3 one hour classes. If your child has not completed Drivers Education, they MUST do that first before applying for the permit. When they are done with drivers training. We give them a pink Certificate. Then go Online and fill out a DL44 for the DMV take your Pink Certificate with you to DMV when you take your test. After your child receives his/her permit we then can set up some classes according to the package you purchased. After your Childs first two-hour lesson with one of our licensed instructors. They may then begin to drive with a licensed parent. Safety First also offers Traffic School. Either online or a book. The online traffic school is not a timed course. You can do it in the convenience of your own home and any time of the day or night. If you decide to log off it will keep your place and you can continue where you left off. The book course is just as convenient as well. You can come into the office or have us mail you a book. We send the book and the test, and you make sure that it is completed and back to us by the assigned due date issued by the court. We service all of California. Register / Sign up Now!